Two Penny Blue began in 2010 in a humble 8x10 office in the attic of an old home on the outskirts of Boston, MA. I would work whenever I could steal a few moments away - usually while my baby son napped. 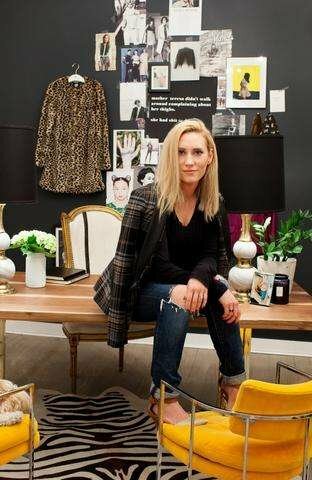 At first the task - creating a incredible line of jackets and blazers with a social mission of educating girls around the world - with no formal fashion training and a tiny budget seemed.. well, impossible. It was exciting, scary, exhilarating, and by most accounts, simply crazy. The order was a tall one and the standards of excellence for the collection were exceedingly high and uncompromising - the fit needed to be perfect, the fabrics the finest in the world, the craftsmanship the best I'd ever seen, and the jackets modern classics. But hour by hour, day by day, sleepless night by sleepless night, the passion for the company only grew stronger and the dream of Two Penny Blue became a reality. In July, 2012 I launched our first collection of blazers on our website. The response was overwhelming and I packed orders up to the ceiling in the attic until 2am thinking "wow , we might just have something here." And we do. My baby boy is now 7 years and that tiny, dusty attic in the office has grown into an eclectic design studio in a great shopping district in Chicago. The passion, the mission, the fear, the excitement, and crazy determination are stronger than ever. Our story is just beginning. Two Penny Blue is a collection of luxury jackets and blazers that are known for their signature silhouettes and effortless sophistication. The Two Penny Blue collection presents a modern twist on classic tailored pieces. For every jacket purchased, a school uniform is donated to a girl in need in Africa – opening the door to her education, increasing her self-esteem and providing the opportunity for a brighter future. 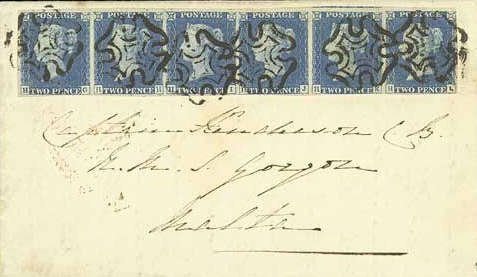 Two Penny Blue refers to the Two Penny Blue Stamp - one of the world's first adhesive postage stamps. Featuring a portrait of Queen Victoria as a 15-year-old princess, the stamp celebrates women in power and symbolizes education and democracy. Our logo is the classic Maltese Cross which was used to cancel the Two Penny Blue stamp as it traveled through the postal system. Our name also pays homage to the founder Marie Whitney’s mother, Penny– who started her own business at the tender age of eighteen and always inspired Marie with her big heart and entrepreneurial spirit.